I have working to complete at least one scene on my layout. A local CP switcher is heading over the Barton River on the way to service the Ethan Allen plant at Orleans, VT.
You can see the plant in the background. 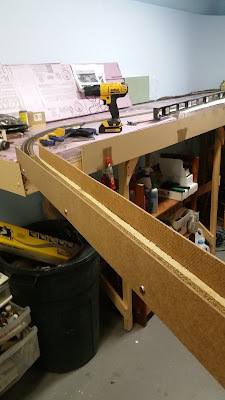 To finish the main line on the layout I need to build a lift out. 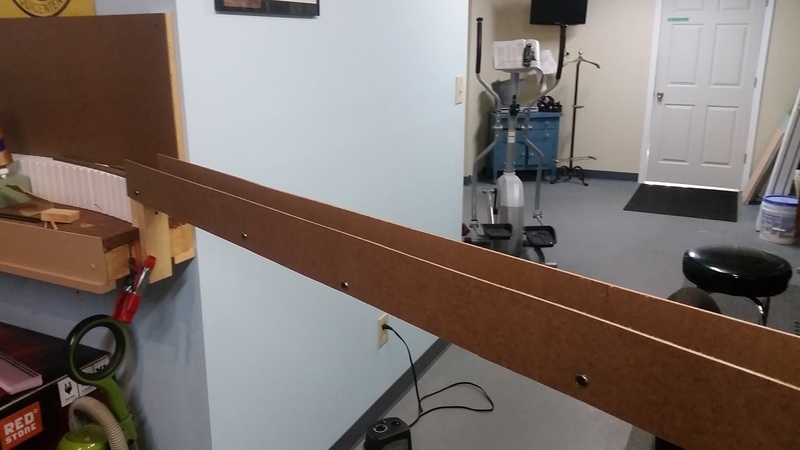 I used 2 pieces of 3/8 hardboard and 1/2 homasote sandwiched and glued and screwed together. 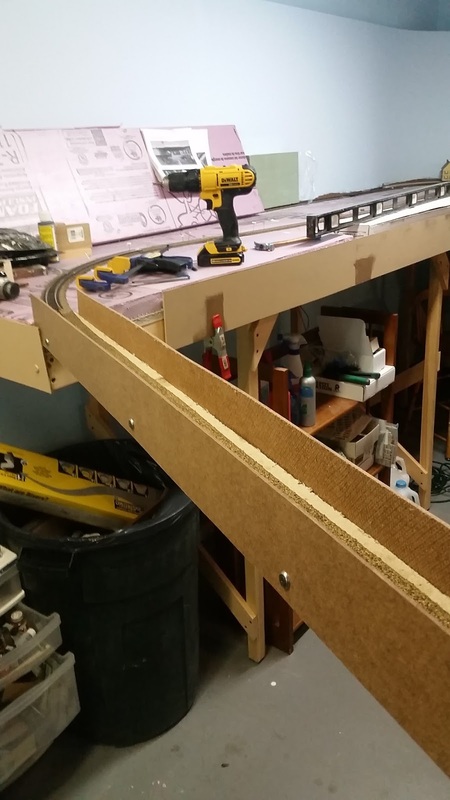 Once the track is in, I'll cut the main and add power. 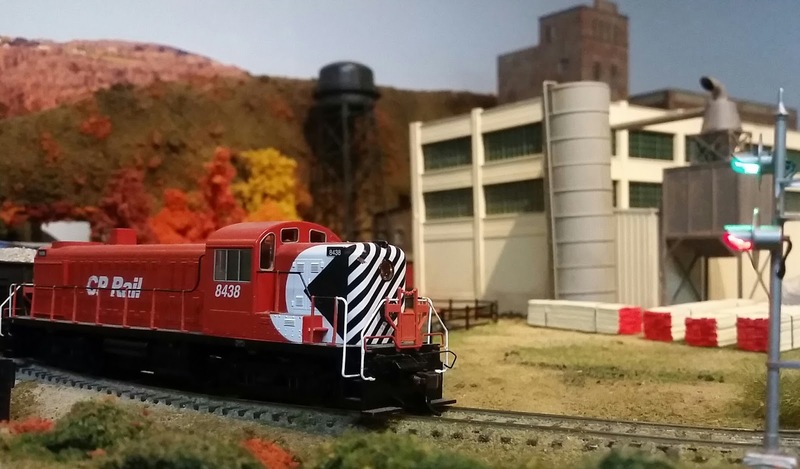 The weekly unit Slurry Train operating out of Riverside Yard near Bellows Falls, VT. destined for Portland, Maine and paper mills beyond is a natural assignment for Pan Ams newly acquired 4000 h.p. ex-CSX C40-8s. When I first learned they were assigned to the job, I drove down the next Sat. night, arriving at 23:00 to find the train gone, so I arrived the next Sat. evening at 21:00, and the train was gone! This past Sat. I arrived at 17:00 and found the train with C40-8s parked in Riverside Yard, waiting for a crew! 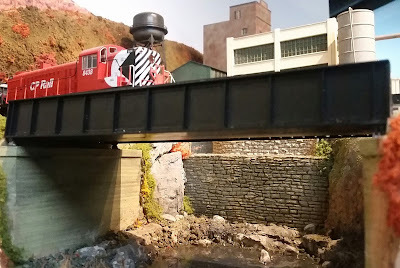 I was reminded of Winston Link relating how it took several visits to capture a certain steam powered train with a grade crossing watchman in the photo. Winston mentioned how the train kept running earlier and earlier in the night, until one night it came by at 01:00. LOL! Tonight, in true Pan Am form, the crew arrives by light power, not taxi, riding in a third C40-8. Seeing this I grabbed a Veggie-Delite salad from a nearby Subway and parked alongside the yard in an obscure truck unloading lot. While I am eating the salad a car enters the lot, stops and the driver steps out to talk. I’m amazed he stumbled onto me back here! He asks if I know of a good hotel in the area, I don’t being from out of town. He explains he is going skiing and has no reservations for a room. I tell him, it’s Sat. night, good luck! I direct the man to Hetty Green further into town as he did’nt like the nearby hotel. 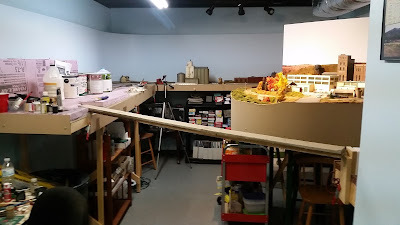 I finish up the salad while the crew does brake tests, then, obeying Railfan rule #14, I wait until they are pulling around 21:30 and head for the interstate. My focus is to catch the C40-8s on the bridge in Bernardston with snow, the shots around Bellows Falls can wait. You see, with Amtraks Vermonter running over the bridge now on its new route, there is a twenty five mph slow order in effect. Amtrak plans to eliminate the slow order likely in 2017 by resurfacing the bridge. This attention from Amtrak will undoubtedly bring a cantilever safety walkway installed on one side of the bridge. Any guesses which side will get the walkway? (Big smile). I arrive around 22:15 near the bridge, and immediately think how being here early on a weekend will draw attention, and sure enough, later on while I am waiting on BFPO the town cop shows up! He hollers down to me from the parking lot where the Civic rests, maybe twenty to thirty yards away............”Can you come up here?” LOL! I holler back no, I’m sorry officer I am waiting for a train, I don’t know where it is. I was thinking HELL NO! Talk about inviting BFPO to appear, that would be the time! So the officer, to his credit, negotiates the path in the hard packed snow in his street shoes to interview me. One of the neighbors, as I feared, had spotted the tiny red lights on each flash unit and become concerned. I do a quick scan of the nearest houses imagining a concerned couple on the back deck watching intently that I could wave to but disappointed, see no one. Once he checks my id and learns what I am up to, the officer has no problem with my activity and satisfied, heads out. After a long stake out, which included a large skunk wandering through the snow in the scene, I hear an air horn that sounds like Amtrak! Smiling I remember the C40-8s have similar sounding horns.........here they come! The wait is ovah! After whistling for two more crossings headlight glow silhouettes bare trees on the far side of Fall River, I fire off the lighting and find my marks up on the bridge using the ol’ headlamp as headlights appear in the darkness, then start across the stone arches at maybe twenty mph. Watching the leaders headlights moving above me, when I think they are where I want the pilot plow to be I say to myself........”Wait”, then press the shutter thus overcoming the tendency to shoot a hair early. 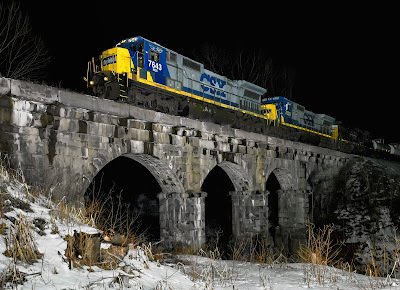 The colors comprising my second favorite CSX paint scheme reflect back with the stone arches for a split second, then darkness envelopes the scene again! Success appears on the rear lcd monitor as an endless string of white tank cars filled with limestone slurry roll by above, sixty two in all. To me, the photogenic C40-8s are a great addition to the variety of locomotives that call New England home. The benefits from embracing the New England trait of frugality is certainly not lost on Pan Am. I like the black “add-on” cab door on leader 7643! They can run around in this paint scheme for as long Pan Am management desires and no complaints will come from Gary! Shot in Bernardston, MASS at 00:30 on February 19, 2017. Please enjoy! Comments are welcomed.